This guide collects major sources for conducting legislative history research, including committee reports, hearings, bills, debates and more. The legislative process that produces the documents discussed in this guide can be quite complex, but a basic understanding of this process is crucial to understanding how to do legislative history research and how to use legislative history documents. Refer to this page of our guide to learn more about the legislative process. This guide will first discuss each of the types of documents that come out of the legislative process and their use, and will then set out methods of locating each. Refer to the Quick Reference Chart for a fast guide to sources for each major type of legislative history document. Committee Reports are usually considered the most important legislative documents and contain more analysis than the other documents. Bills and Congressional Debates may also be relevant. The other legislative materials provide little information that would help you to determine legislative intent, although they often provide valuable background and factual information on the issue being addressed by the legislation. See each sub-page of this guide for more information on each type of document. If you are unsure about which Congress or year your law was passed, you may find it helpful to use the table of Years of Congress Conversion Table. The single most comprehensive database for federal legislative history research. We recommend using the Advanced Search or -- if you want to search using citations to public laws, bills, or legislative history documents -- using the very precise Search by Number feature. Bills & Public Laws 1987-present; Committee Prints & misc. publications 1817-present; Congressional Record Bound Edition & predecessors 1789-2001; Congressional Record Daily Edition 1985-present; Congressional Research Service (CRS) Reports 1916-present; Hearings 1817-present; House & Senate Documents 1817-present; House & Senate Reports 1789-present; Serial Set publications 1789-present; Serial Set Maps 1789-1969; CIS Legislative Histories 1969-present. A partner product to ProQuest Congressional, this database has select compiled federal legislative histories. Not as comprehensive as ProQuest Congressional, but has a unique and useful interface for working with legislative history documents (if your public law is covered in LI's legislative history collection). Congress.gov is the official website for U.S. federal legislative information, including information on Members of Congress, committees, the Congressional Record, and nominations and treaty documents. You can create an account and set up alerts to track and monitor legislation. Older material may be metadata only (no full text). Specific coverage information is available here. Provides free public access to official, authenticated publications from all three branches of the Federal Government, including select legislative materials. It is a service of the United States Government Publishing Office (GPO). Typically coverage is from 1993 - present. This post organizes the research guides that have been published on the Law Librarians of Congress blog, In Custodia Legis. 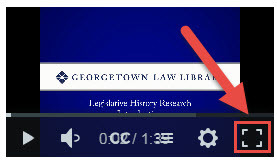 Refer to the "Federal Law and Legislative History" topic for various tutorials on federal legislative history research. For an overview of the research process, begin with Compiling a Federal Legislative History: A Beginner’s Guide. Compiled by the Law Librarians' Society of Washington, D.C., this Source Book contains detailed discussions of various aspects of the legislative process, legislative documents and their publishing, and free and paid resources for doing legislative research. This is an updated version, but requires you to log in to ProQuest Congressional with your Georgetown netID.